We’ve all seen movies and tv dramas where criminal defendants claim they were framed by the police. Very rarely does this happen in real life. However, there are cases that actually hinge on the actions of police officers. Cops may fail to read a defendant their Miranda rights. Or perhaps they don’t contain the crime scene. There are many ways in which an officer’s behavior can affect a trial. 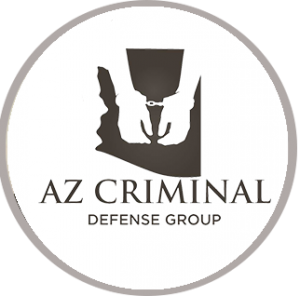 If you have been charged with a crime in Arizona, you need to contact a criminal defense attorney. If you suspect that a police officer behaved improperly, you need to communicate this to your lawyer. Your lawyer is going to want to have access to the officer’s personnel file. He wants to see if the officer has a history of improper procedure or other issues. You can’t just walk into a police station and demand to see a police officer’s personnel file. It doesn’t work that way. There are legal procedures you have to follow in order to do this. Arizona has special rules about this. Your attorney knows these rules and how they work. If a criminal defendant feels a police officer didn’t act appropriately, he can have his lawyer request a copy of the cop’s personnel file. All jurisdictions have their own rules about this. Your lawyer would request this information from the prosecution. They will either turn it over, refuse or turn over a portion of the file. 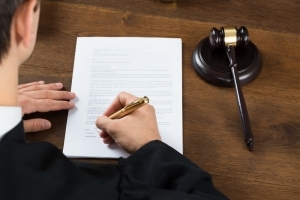 The prosecution or police officer may claim that only part of the record is relevant to your case. They may say it’s not relevant at all and refuse to comply with your request. Thankfully, the judge oversees this process. If you attorney is unhappy with the information they provide, he will ask the judge to order them to turn it over. Personnel records may prove that a certain officer has a history of civil rights violations or of improperly handling a case. Your lawyer will argue that this information is vital to your defense. You may receive a small portion of their file that relates directly to your case. If your lawyer can prove a history of misconduct, you may have a defense to your charges. If you have been charged with a crime and suspect police misconduct, call a defense lawyer immediately. Your lawyer will work hard to get proof that the police officer didn’t act properly. He can use this information to prove that you are not guilty of the charges. However, don’t expect your attorney to work miracles. Simply claiming that a police officer acted improperly isn’t enough to get your charges dismissed. If that were the case, all defendant would make this claim. Most police officers have an impeccable record and will be more than willing to turn over their personnel file. The burden will be on your criminal defense lawyer to prove that he acted improperly. Click here for information on entrapment in Arizona.